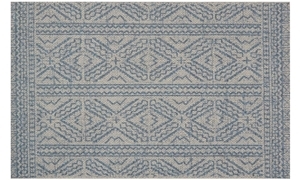 5' x 8' silver & azure rug power-loomed of outdoor-friendly polypropylene & polyester. Part of the Magnolia Home by Joanna Gaines collection. Bring indoor quality rugs to the outdoors with Warwick, the first-ever indoor/outdoor collection for Magnolia Home by Joanna Gaines. Perfect for patios and indoor spaces alike, this versatile collection is power-loomed of polypropylene and polyester fiber that’s UV, mold and mildew resistant. Crafted by Loloi, each rug is inspired by tribal mud cloths. See this collection on display in Furniture Hall at our Virginia Beach location! 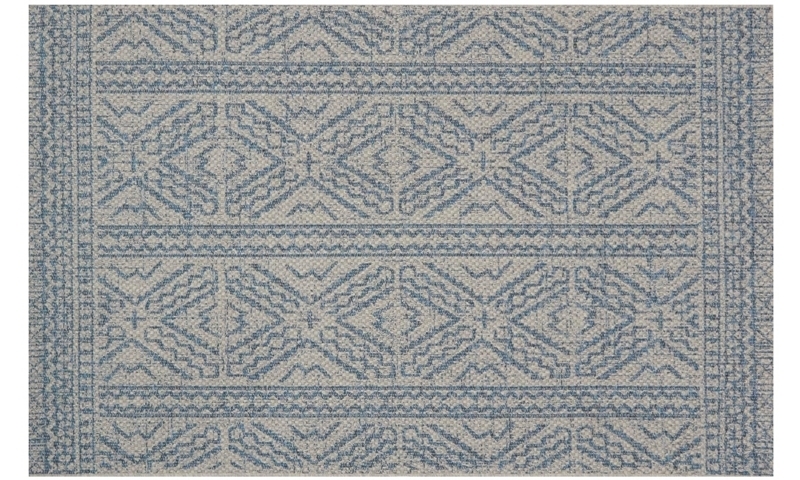 8' x 11' silver & azure rug power-loomed of outdoor-friendly polypropylene & polyester. Part of the Magnolia Home by Joanna Gaines collection.